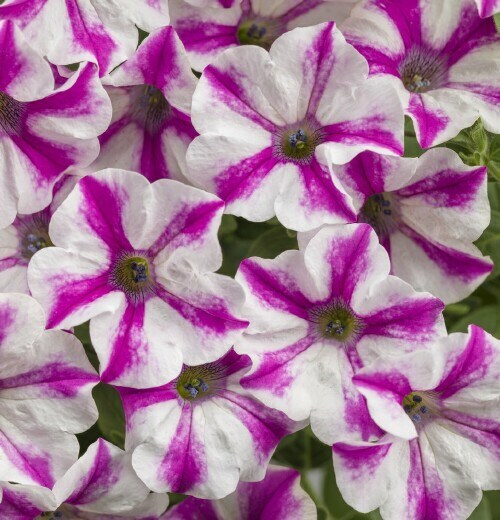 Stunning display of white flowers with pink stripes. Mounded habits that do well in both containers and in the landscape. For best display plant in full sun locations and fertilize often.